We all know the importance of healthy eating but putting it in to practise can take some getting use too. One of the biggest hurdles I found was picking the right snacks when I am on the go. I know I am not the only which is why I wanted to share my top Five Healthy Snacks to keep you going. Healthy Ice Cream?! Where have you been all my life? When I am craving something sweet but biscuity at the same time, the Livia's Kitchen Raw Millionaire Bites really do hit the spot. Full of wholesome ingredients they tastes as good as a sweet treat but with none of the guilt. It is no secret I love the Nakd Bars and they recently launched their new Posh Bites. I have tried two of the flavours and instantly fell in love with them. My favourite is Cocoa Mandarin Flavour but the others come a very close second. 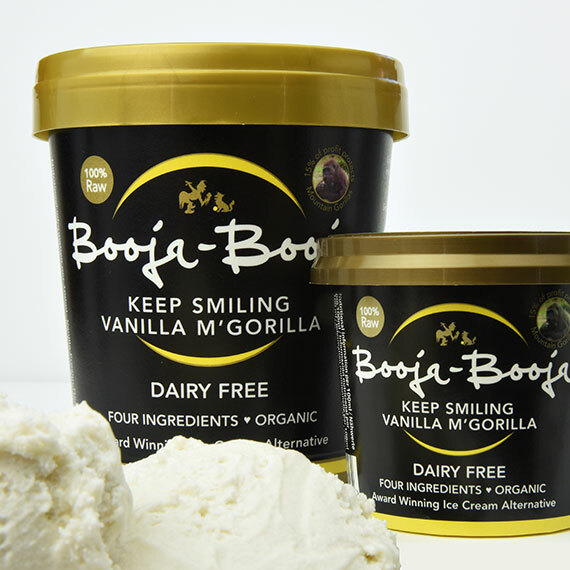 Being Lactose intolerant means I had to try some dairy free alternatives and my favourite is the Booja Booja Ice Cream. If you are dairy free or vegan this is the one to try. Made from only five ingredients, you would not think the ice cream would taste as creamy and delicious as it does. Popcorn is one of my favourite go to healthy snacks. It is cheap, light and you change up the flavour pretty much all the time. Sunbites recently developed their own popcorn which tastes delicious. Movie night anyone? Want to know a secret? most snack bars are actually not that great for you. They can be filled with extra sugar and chemicals you are trying to steer away from. The Aduna Baobab Bar is delicious and sweet but filled with delicious wholesome ingredients such as pineapple, dates and nuts. It is also surprisingly filling. If you are someone who tends to need a 3pm pick me up, this is the bar to try. If you ever see in the street make me open my bag, you will find at least one of the above in there. Do you have any go to healthy snacks?